Glendale Mayor Zareh Sinanyan with Montebello Mayor Jack Hadjinian at a recent fundraiser for Hadjinian. In March 2013, current Glendale Mayor Zareh Sinanyan was accused of posting extremely racist, anti-Mexican, Islamophobic, and homophobic comments on a You Tube account, comments he vehemently denied posting for over a month. After the comments were made public by the Glendale News-Press, Sinanyan lost several key endorsements including Los Angeles Mayoral candidates Wendy Greuel and Eric Garcetti, along with L.A. City Councilman Paul Krekorian and Rep. Adam Schiff. They mostly referred to Armenia’s geopolitical enemies, but also bashed gays, Muslims, and women. See screenshots of comments (posted on tropicostation.blogspot.com), click on links below. Editor’s Note: WARNING, they are extremely graphic. Finally, after Sinanyen was surprisingly elected, with the backing of the Armenian community in Glendale, he confessed to posting the comments. 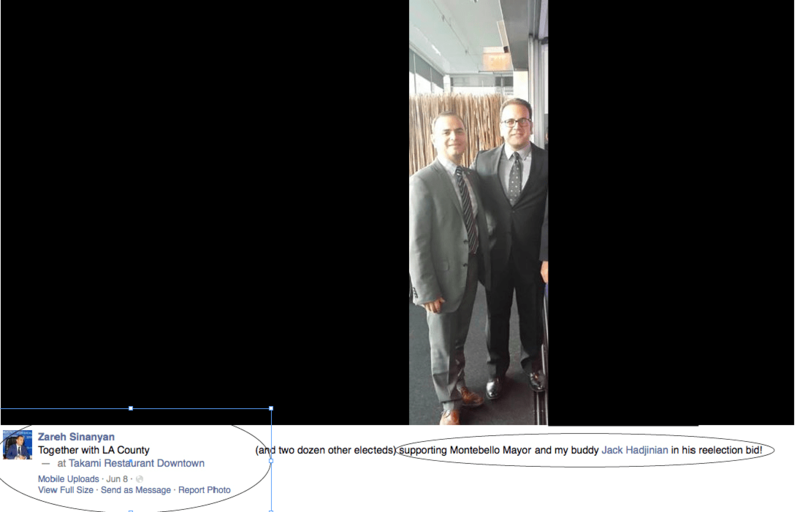 But apparently the month-long non-denial and final confession that he posted the comments did not seem to bother current Montebello Mayor and City Council candidate Jack Hadjinian. Hadjinian never pulled his endorsement of Sinanyan even after he admitted to the comments and the two remain “best of friends” and still help each other out whenever they can. 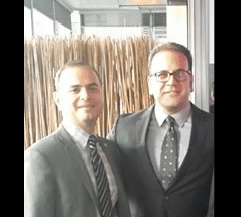 Recently, in another recent sign that Hadjinian endorses Sinanyan and the racist, Islamaphobic, and homophobic comments he wrote, Hews Media Group-Community News has found that Hadjinian recently donated money to Sinanyan’s election committee. 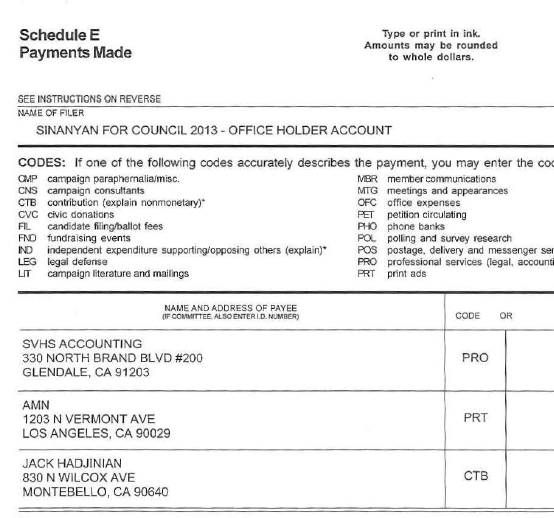 Acting on a tip, HMG-CN pulled Sinanyan’s 460 “Office Holder” campaign finance documents and found that Hadjinian’s donation occurred sometime in the first half of 2014. Four other donations were made by others totaling $3,600. And this is not the first time Hadjinian has assisted Sinanyan. 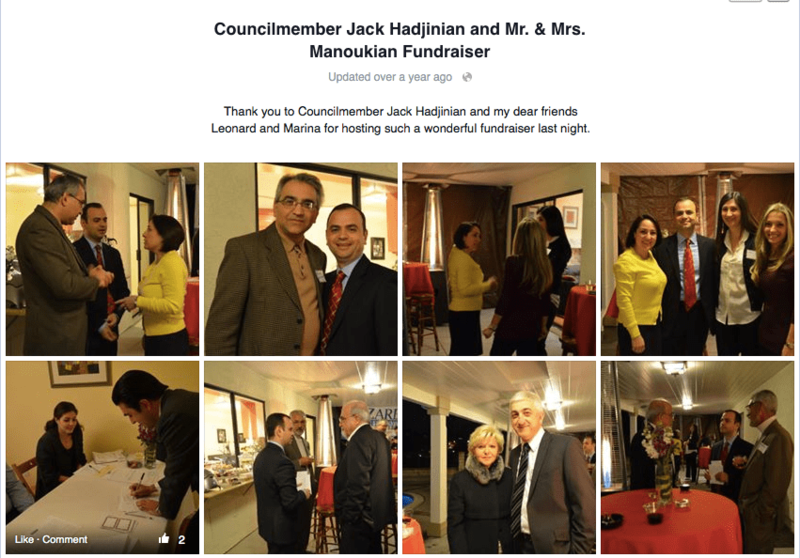 Hadjinian sponsored a fundraiser for Sinanyan held at the Glendale home of Marina and Leonard Manoukian for Sinanyan’s successful 2013 City Council campaign. A Facebook picture post shows a smiling Hadjinian standing with Sinanyan and the Manoukian’s in front of a large “Sinanyan for City Council” banner. One year later, Sinanyan was still posting pictures of the event on Facebook, with Hadjinian “liking” the posts and thanking Hadjinian and the Manoukian’s for holding the event. Conversely, Hadjinian has enjoyed the support of Sinanyan several times in the past and continues to do so even to this day. 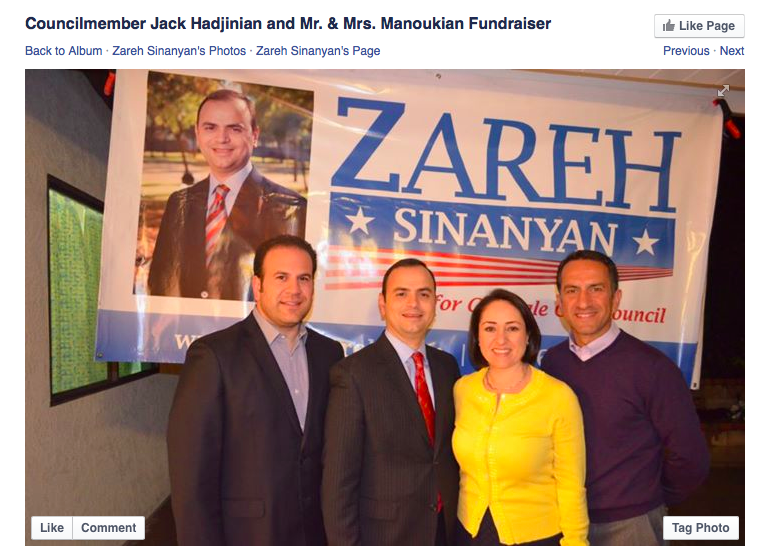 A June 8, 2015 picture post by Sinanyan on his Facebook page shows Sinanyan at a Hadjinian campaign fundraiser event with the comment, “together with…(and two dozen other electeds) supporting Montebello Mayor and my buddy Jack Hadjinian in his reelection bid! HMG-CN attempted to contact Hadjinian several times with no response. HMG-CN also attempted to contact Montebello City Council Candidate Vanessa Delgado, who is endorsed by Hadjinian, about the Sinanyan – Hadjinian relationship, also with no response. Jack’s got to go. I know so many wonderful Armenian people and they are loyal and caring people. Jack has never fit that mold. He is cocky, arrogant and mean-spirited! I hope Jack is dumped and the Armenian community can hit reset on their political ambitions in Montebello. I’m all for an Armenia representative, but just NOT JACK!